Southampton manager Ralph Hasenhuttl says the worst thing about their defeat to Manchester City was the sending off of Pierre-Emile Hojbjerg. 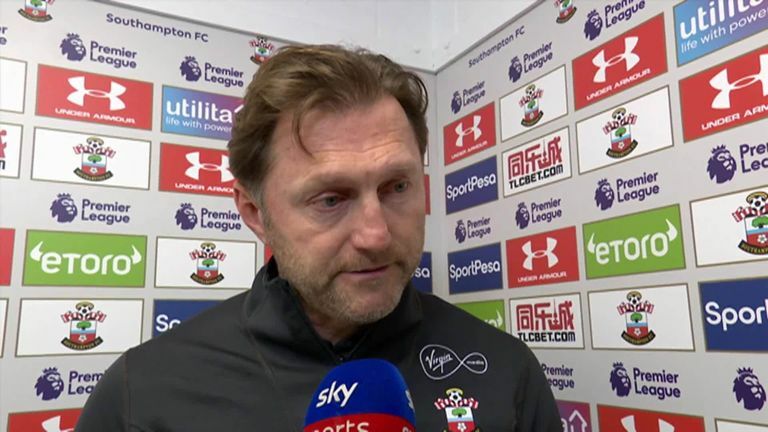 Ralph Hasenhuttl felt referee Paul Tierney's decision not to award Southampton a first-half penalty against Manchester City was a crucial turning point in the match. With the score at 1-1, James Ward-Prowse went down under a challenge from Oleksandr Zinchenko in the 43rd minute of the game at St Mary's. 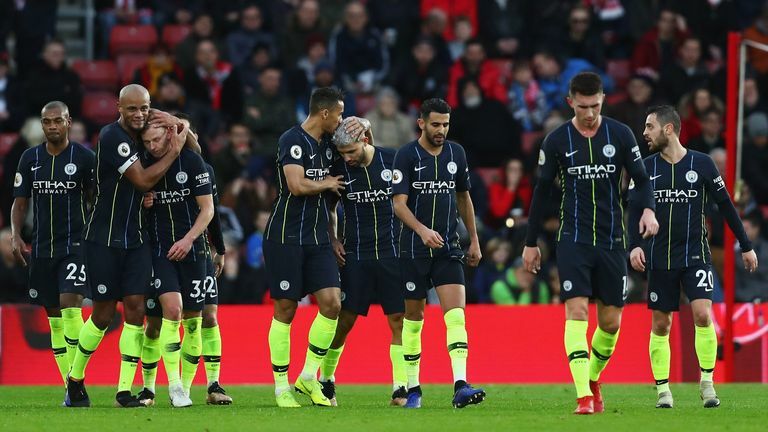 Two minutes later, Ward-Prowse scored an own goal before Sergio Aguero added a third for City in the third minute of first-half stoppage time, and City held on comfortably after the break to wrap up a 3-1 win. Saints boss Hasenhuttl reckoned Tierney got the penalty decision wrong and that it led to his side's downfall. "I thought 100 per cent penalty," he told Sky Sports. "The referee can't give it if he's not 100 per cent. It was a crucial scene of the match and the next crucial thing is that we went into half-time at 3-1. "That is not possible [to come back]. That is too easy in this moment and that killed the match. "Afterwards we said about finding the good mixture between using the substitutions to prepare for Chelsea or going for the draw, but at home against such a good team it's not so easy." Despite the defeat, Hasenhuttl was pleased with how his younger players performed, including 18-year-old debutant right-back Kayne Ramsay. Highlights from Manchester City's win over Southampton in the Premier League. He added: "From the young guys I think it was a very good experience for them and it was impressive for me also what I expect from guys who did not play until now. "Prowsey (Ward-Prowse) played a good match today. He was very good in the first half on the wing and then in the second half at number six. It was important to see these things for me and that's why I gave them the chance to play today. "It was a big challenge for him [Ramsey] and good experience I think. He tried to be calm when he had the ball and obviously made a few mistakes in his game, but from a young player that's normal. "We tried to show them how far they are in their development and I think that was important in this game today."